I never thought I’d see the day when professing Christians help anti-Christian bills pass. But that’s what happened with some of the worst, anti-family bills of the year in California. 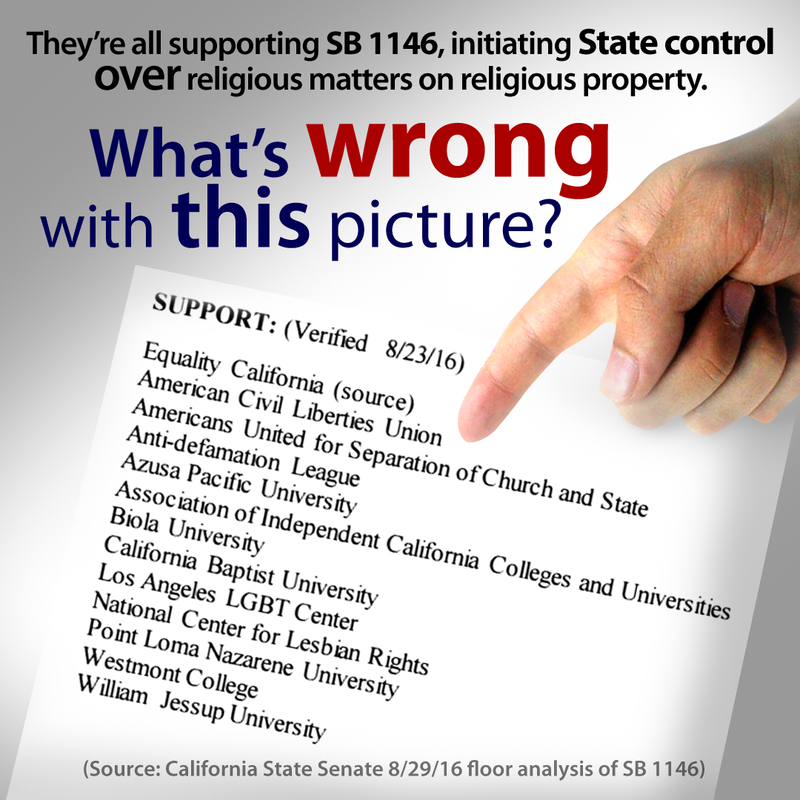 When Governor Jerry Brown, a Democrat, signed SB 1146 to initiate State control over religious matters on religious property, favoring the unnatural, unhealthy, unbiblical, tyrannical homosexual-bisexual-transsexual agenda over constitutional religious freedom, he could only do it because the presidents of six large “Christian” colleges in California had dropped their opposition and instead supported this unprecedented, unconstitutional, subjective bill. And when Gov. 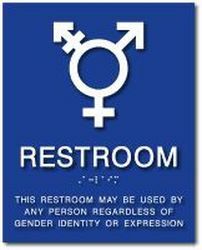 Brown signed AB 1732 to tear down “men,” “women,” “boys,” and “girls” signs, and replace them with pro-transsexuality “all gender” signs at single-user restrooms at every business, including home businesses, and every church school, religious daycare center or religious senior home, etc., it was because some professing Christians supported this intrusive bill, empowering it to pass. In the California State Assembly, Republican Catharine Baker of Dublin voted “yes” for both AB 1732 and SB 1146. Yet Baker has publicly said she’s a “Christian” and has been a Sunday school teacher at San Ramon Valley United Methodist Church. And in the California State Senate, Republican Anthony Cannella of Ceres is known as a professing “Christian” to locals and also to reporters. But Cannella spoke in favor of and voted for AB 1732 to force small and home businesses and church schools to replace “men” and “women” signs with “all-gender” signs at single-user restrooms. What’s the upshot of all this? Pastors who preach and individuals who teach must purposefully strive to a) hold people in leadership positions accountable to biblical sexual standards, b) teach separateness from evil (holiness), c) warn against partnering with evil people, d) condemn political prostitution, and e) urge people to vote for candidates with proven moral-values integrity. Because sadly, these dark days, a “Christian” who won’t “compromise” seems a rarity. Do not be unequally yoked together with unbelievers. For what fellowship has righteousness with lawlessness? And what communion has light with darkness? And what accord has Christ with Belial? Or what part has a believer with an unbeliever? And what agreement has the temple of God with idols?